About Us: My Central Vacuum System Store - Central Vacuum Hoses, Power Nozzles, Tools and Accessories for Major Brands of Central Vacuums. Galaxie has been a pioneer in the Central Vacuum System industry since 1965. Starting out as a distributor of other popular vacuum units, we transitioned to manufacturing our own power units in the late 1960′s. Innovation in design helped us develop our signature unit, the GA100 Power Unit, a completely bag free and filter free system. Flash forward to today, and you can find our central vacuum units in thousands of homes across the nation and even across the world. Here on our website, you'll find our legendary central vacuum units, as well as a full line of tools and accessories to outfit your central vacuum system. These are all guaranteed compatible with most brands of central vacuum systems, not just our own. Got a question about compatibility? 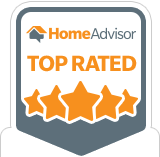 Please reach out directly using the method most convenient for you, or use our Ask An Expert feature to get quick, complimentary, central vacuum system troubleshooting help. Do you live in Massachusetts or Southern New Hampshire? Come visit our showroom in person and save the cost of shipping. We’re very easy to get to, located conveniently in Methuen, Massachusetts, less than a quarter mile off of Interstate Route 93. 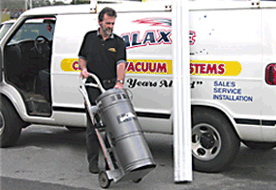 Galaxie Central Vacuum Systems, the home of MyCentralVacuum.Com and of the legendary Galaxie Central Vacuum power units, is also the go-to vacuum system installer and servicer in its region. We've got skin in the game - we’ve been installing and servicing vacuum systems in homes, businesses, and industrial facilities throughout New England for almost 50 years. You’ll be surprised at how affordable a fully installed Galaxie-powered central vacuum system can be! We understand central vacuum system problems because we’re central vacuum manufacturers and installers. No matter what brand of central vacuum system you have in your home or facility, we can help you get it optimally tuned up and performing. If your vacuum system isn’t working hard for YOU, then you’re working HARDER than you should be! 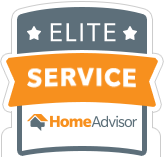 If your system is experiencing poor performance, or just not operating at all, we’re here to help. No problem is too small. Get in touch today!